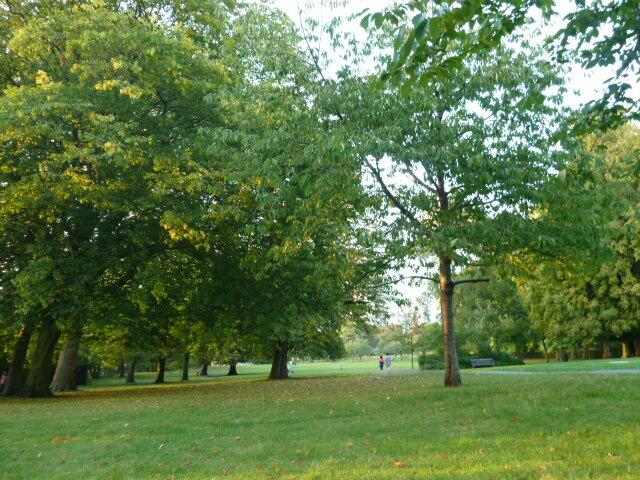 We woke to another glorious day and for the first time in maybe 2 months we could comfortably wear shorts and t-shirts. That’s amazing considering just 5 days earlier in Edinburgh we were wishing for scarves and mittens. I put our third load of washing into the dryer and then proceeded to try to wrestle all our gear into the new bag and into mailbags to send home. We came down to the conclusion that we needed to buy another bag like the brown one we had gotten yesterday. I had thought about buying two but didn’t, bummer. The new brown bag needed to hold 4 sleeping bags, 4 sheets and some of our cheap plasticware and cooking gear that we wanted to use in Spain. Harris’s bag was now holding 2 scooters that would get a work out in Spain and North America. We were leaving a pile of things behind but still needed another bag. Next task for the morning was printing off boarding passes for a number of flights and accommodation bookings. I was starting to feel anxious about our upcoming journey to Spain since I didn’t even know where the actual place in Marbella was. I sent an email and got a quick reply with the address we had to get to on Sunday! Phew! With a pile of papers in my folder for Spain and our North American flights, I felt a lot more organised and relaxed. 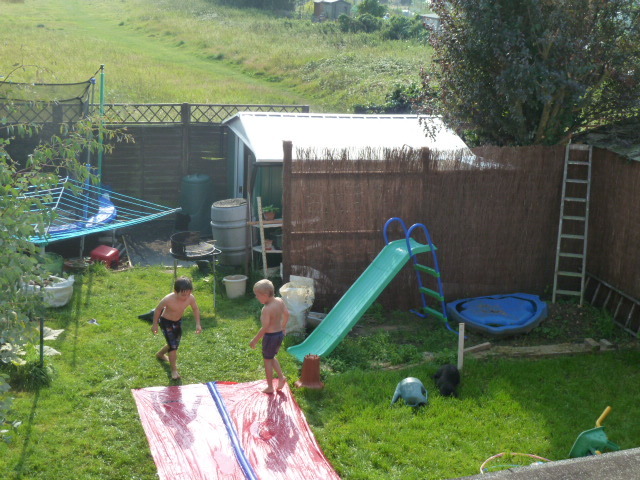 Whilst Steve and I were busy organising, the boys had a great time playing outside on the new slip and slide with Jacob. Sarah was content to stay dry. When the kids were inside there was no guessing what they were doing, Nintendo Wii. 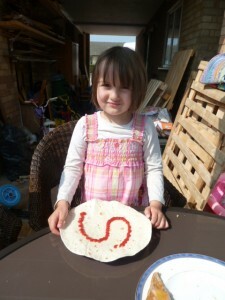 Tony did a great job of making us lunch and we sat outside on the patio in the sun enjoying the day. Well, all good things must come to an end so we had to hit the road to drive to Croydon again. We were staying there overnight so we could be close to Gatwick Airport the next day for our flight with Easyjet to Spain. We send goodbye to the Cakebread Family and goodbye to a long list of ‘stuff’ that we were leaving in their good care including our tent, camp cooking, 4 campmats (3 with holes), air pump, big expensive electronic thing for English campsites, some toys, books, food, plastic crates, 2 small camp chairs, one wok, my handy shopping trolley and some other bits and bobs. All the best to the wannabe campers that enjoy our gear. 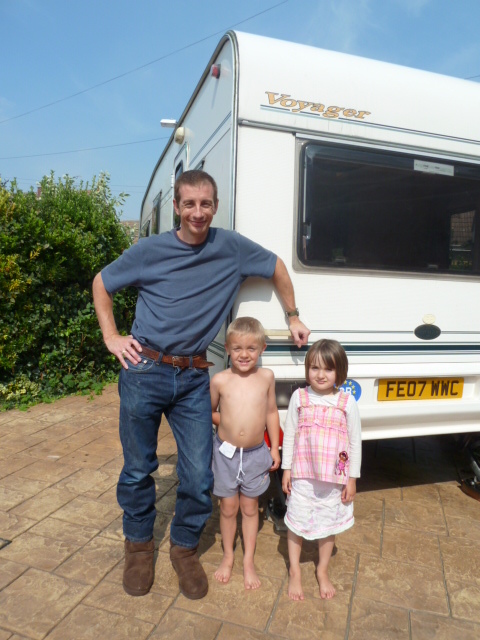 Send us an email and a photo – we’d love to see you out and about camping. 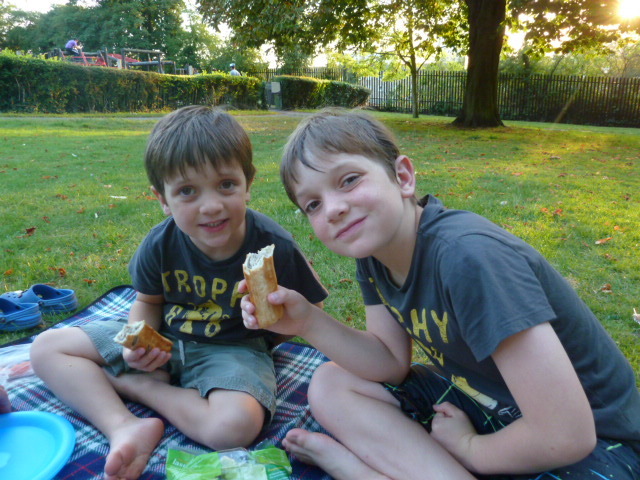 Here we are enjoying a picnic dinner in Croydon, London after we finally made it through the traffic to our hotel and settled in.